 A dubious new examination of the Roosevelt clan by the team that has previously delved into the lives of several American dynasties. Any new book about the Roosevelts carries a big burden. There have, of course, been many books already about the family, many of which are termed ``excellent'' and ``brilliant'' by Collier and Horowitz. The authors have their own reputation to reckon with, too. Coauthors of previous dynasty books (The Kennedys, not reviewed, etc. ), they have been accused, by turns, of superficiality, sensationalism, and inducing boredom. 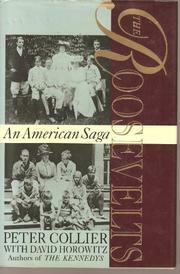 The Roosevelt book is rarely boring and certainly not sensationalistic. It is, however, troubling in another way: The authors place more emphasis than previous biographers on the conflict between the two branches of the Roosevelt family. Writing in the singular voice, they explain: ``My own inclination has been to try to treat the story of the Oyster Bay [Teddy and Eleanor] and Hyde Park [Franklin] branches, usually seen as two casually related stories, as one complex dynastic drama. There is a familial civil war at the heart of the story....'' Previous Roosevelt chroniclers, while sometimes mentioning the ``civil war,'' have refrained from building a book around it. Collier and Horowitz have done just that. Accordingly, they seize every opportunity to accent interbranch conflict, dwelling, for example, on the subtle and not-so-subtle slights traded among relatives at the 1905 wedding of Eleanor and Franklin, exchanges that overshadowed the ceremony itself. More than 80 years later, according to the authors, the internecine strife finally lessened as the two branches more or less reconciled at a reunion. At times entertaining, this family-conflict approach (based largely on derivative, sometimes skimpy sources) requires some liberal interpretations of events for the sake of dramatic continuity. Readers unfamiliar with the available Roosevelt literature may find this approach informative and fun. Others--well-read in Roosevelt literature and not titillated by the bickering--will find it irritating.